If you want to use one of the Crowns on a Follower you are making or similar you can do so without asking me, but please give me credit in your description. 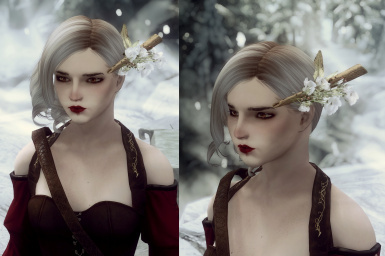 Also if you want to use more than one Item of this mod in your own ask me for permission first. Thanks a lot to Claudia Luehl Amazing Nami Bust that the Crown is from https://sketchfab.com/3d-models/league-of-legends-nami-bust-20bec625b28e4498b54cae05e3dcfadd I have adapted it for use in skyrim and made it wearable. 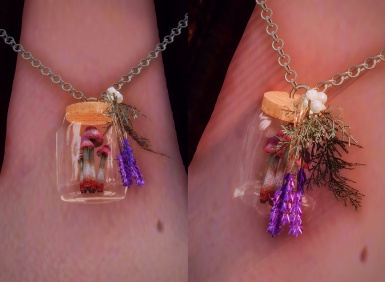 -Exchanged the enchanted versions from the satchel to unenchanted versions. -Added to circlet leveled list items (all appears at level 1 with 50% chance each), bashed patch required. 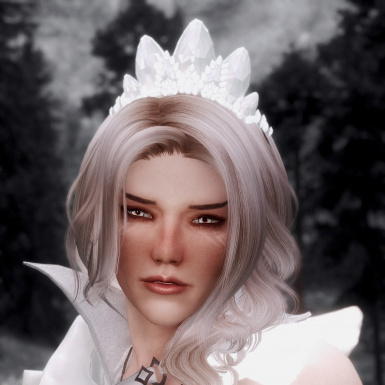 -Can switch an Unenchanted Tundra Cotton Wreath to Poofy version and vice versa. 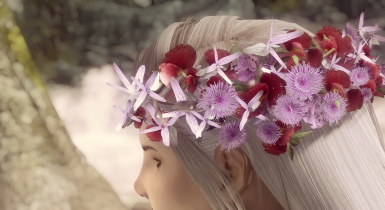 -Can switch an Unenchanted Thistle Crown to Thistle Crown with Tundra Cotton and vice versa. -Can upgrade from Elemental Druid's Ornament > Kyne's Chosen > Druid's Crown. -Can upgrade from Nature's Flute to Spiritual Flute. 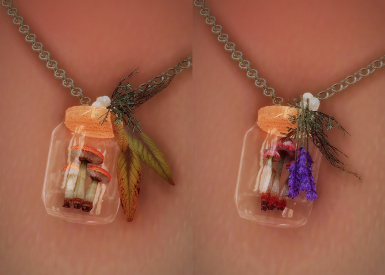 This is an Accessory mod adding 27 head adornments and 2 necklaces. They are suited for Druid, Sorcerer, Alchemist and Mage characters. But in the end it's up to you to decide if they fit your character or not. 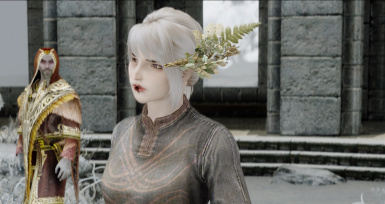 I made them wanting to have a little bit of lore friendly Flora on my character's head, but I ended up making more than just that. Now there's simple but also more flamboyant accessories in the mod. You can find the Accessories in a small satchel behind Nightgate Inn. It looks like one of Nightgate's former guests forgot it there, it would be a shame if no one came to pick it up. If you don't want to go there you can search for 'Accessory Satchel' in the console, or use AddItemMenu. All of the Accessories are enchanted. I tried to choose fitting Enchantments for all of the Items. And not too overpowered ones either. E.g. Disease or Poison Resistance, better Health regen, Frost or Fire resistance, slightly increased health or lower Mana cost for Destruction Spells. All of them work on both Females and Males. 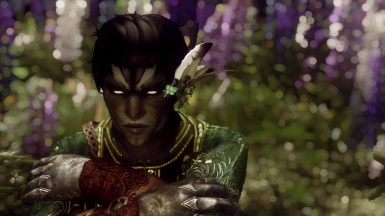 This Mod requires Skyrim with the Dawnguard and Dragonborn DLC. 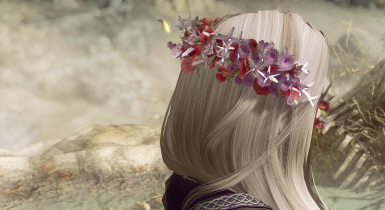 If you do not have them some of the Crowns will be missing textures. 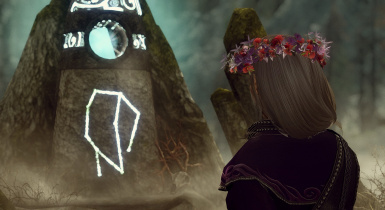 The Crowns (except for the black Crown of Thorns) use the Vanilla texture paths. Thats why the way they look can change depending on what texture mods you use. That is nothing bad though, they won't look terrible if you don't use any texture replacers at all. Thanks to Bethesda for Skyrim and the Assets used in this Mod. Thanks to testiger2 for DovahBling Jewelry. 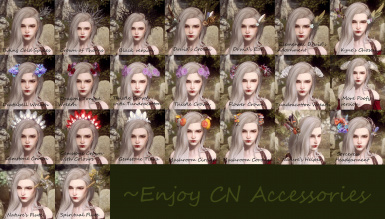 If you want to use one of the Crowns on a Follower you are making or similar you can do so without asking me, but please give me credit in your description. 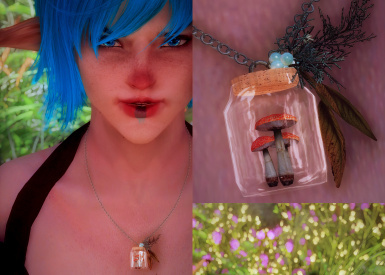 Also if you want to use more than one Item of this mod in your own ask me for permission first. 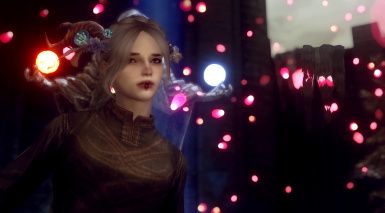 TK ENB and FeverNB, Opulent Mage Robes, Ks Hairdo's, Eyes of Beauty, some custom stuff. Feel free to ask if you want to know more. 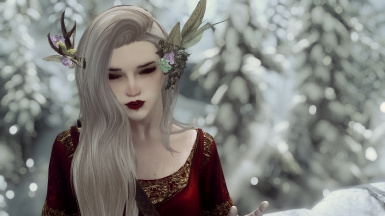 But if you're interested in my character as a preset or follower- I'm flattered but please don't ask anymore the answer is no.